The story was an excellent. I felt like I really got to know the characters. It felt like a very classic story. I think the excellent narration by Jim Dale contributed heavily to the classic feel. 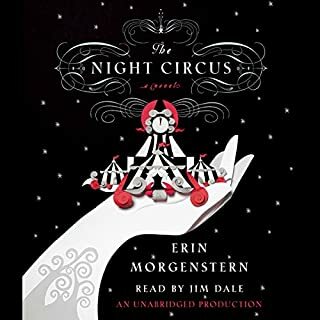 If you love the circus or magic or both you will enjoy this tale. 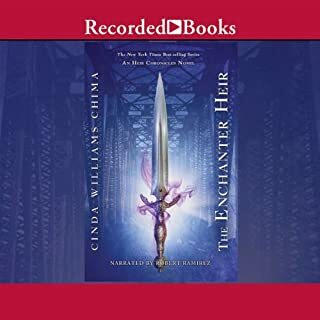 What did you love best about The Enchanter Heir? I thought Chima continued the Heir world well. The introduction of "new" magical guilds brought some freshness to that world. I enjoyed the book and thought it was on par with her other books in the series. The first book in this 2 part continuation created many more questions than answers and seemed to mostly set up the final book. Be prepared for many cliffhangers. In my opinion, the narration was really slow. There were a lot of unnecessary pauses. If the narrator had a little bit quicker pace, I would have enjoyed the narration. The voice fit the male character well.